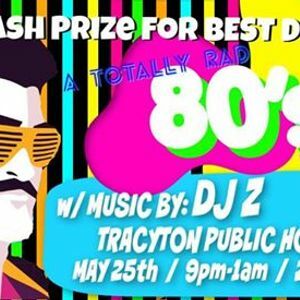 It's going to be a TOTALLY RAD 80's NIGHT at the Tracyton Public House on May 25th. 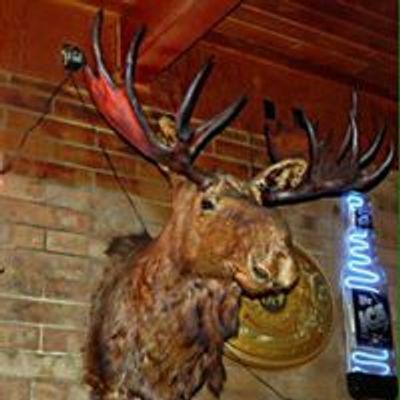 With music by the always-rockin', DJ Z! 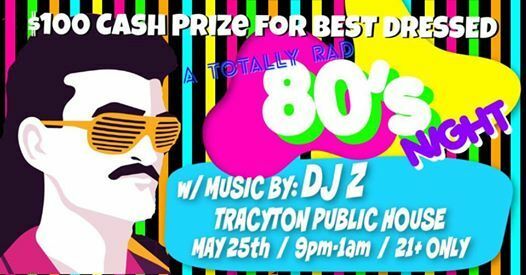 So stock up on your Aqua-net, your spike bracelets, your day-glo, track suits, and your permed 'do ready... because we have a $100 CASH PRIZE FOR BEST DRESSED!